The Channel Master 4228HD extremetenna 80. 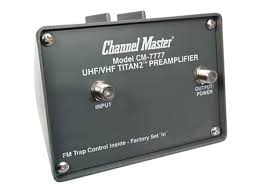 The Channel Master 4228HD 8 Bay Antenna is a high quality UHF HDTV Antenna optimized for DTV (Digital TV). Its double the size of its little Brother the 4 bay channel master 4221HD with its 4 bays. 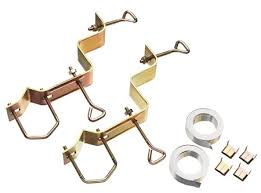 This bowtie bay technology and unique construction makes channel master one of the best antenna's currently on the market, many competitors have tried to copy this construction. Channel Master is a company that brings a wealth of over 65 years and are experts on Antenna products for digital television reception. 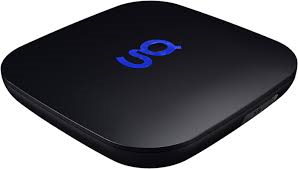 This is currently one of the best HDTV antennas on the market with a staggering 60 mile radius for UHF TV reception. 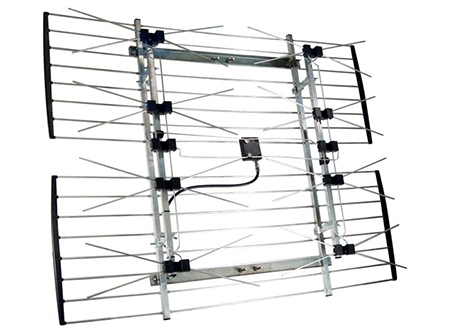 Channel Master's model 4228HD Extremetenna 80 Antenna also known as the Extremetenna 80 which can receive digital and analog over-the-air TV signals in the UHF band (14 - 69) as well as receiving to some extent high VHF (7-13) (over 90% of digital TV signals are in the UHF band). The 4228HD is optimized for "fringe" and "Deep Fringe" reception of HDTV. 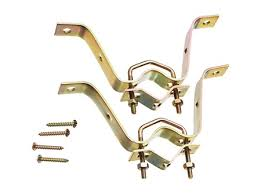 Its efficient design is suitable for roof and attic installations. Channel Master's 4228HD antenna can receive digital and analog over-the-air TV signals in the UHF band and high VHF band (nearly all digital TV signals are in the UHF or high-VHF bands). The 4228HD is optimized for "deep-fringe" reception of HDTV — it's one of the highest-gain antennas available. 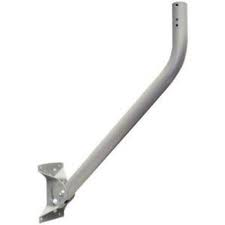 This antenna features a highly directional design that will provide best results when most or all of the desired stations are transmitting from the same location. For clearer reception, pair the 4228HD with the 7777 preamplifier. Also, if you'd like to pull in signals from different areas, consider a rotor to aim your antenna in the right direction. The 4228HD is classified as a Large Directional antenna. Its space-efficient design is suitable for roof and attic installations (mast recommended). • Average gain UHF (dB): 12.